Know your competition. Read others’ works. Know your genre/subgenre. Do you write thrillers, cozies, police procedurals, etc.? Know where your book fits. Look at the major mystery awards and see who is nominated in “Best New First Novel.” Read them. Make sure that you do your research first before you start writing. Facts do matter. Decide up front on what point of view you’re going to use (e.g. first, third, omniscient). Third person tends to be more popular in mysteries. Avoid writing in multiple point of views. Decide if you’re writing a stand-alone or a series. If you’re doing a series, don’t kill off characters that you’ll need later. Everything in your novel should move the plot forward. If it doesn’t, cut it. Proofread your work. Don’t submit anything with grammatical errors or typos. If you write about an amateur sleuth, make sure that she has a solid reason for solving the crime. It shouldn’t be because the police are bumbling. You need to think about what makes your book different from all the others out there. Something has to happen in the first chapter. You need action. Don’t talk about the setting or the weather. Make sure that your plot keeps moving in the middle of the book. You don’t want a saggy middle. Readers like plot twists and surprises. Don’t include a scene unless it tells the reader about the character or moves the story forward. The End! Or Is It? 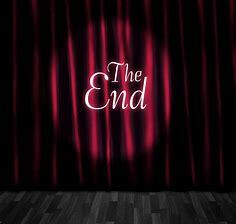 There is nothing like the feeling of typing “The End.” But I’ve found “The End” isn’t always the last step. When I’m at the point that I’m sure I’m done, here are the things that I look at. Check the word count to make sure it fits within the guidelines for your genre. Spellcheck the manuscript to ensure that you caught all the boo boos that came from editing or the last round of revisions. Check the last paragraph of each chapter to make sure it encourages readers to keep reading. You don’t want to wrap up things so neatly that the reader decides that it’s a good stopping point. Print a copy and proofread on paper. You’ll find more than you will proofing on your screen. Read your dialog out loud to ensure that it doesn’t sound stilted. It should sound like a conversation. When I think I’ve done my best, then it’s time for beta readers and my critique group. They are great for looking for plot holes or things that don’t make sense. Look at your chapter lengths. They should be close page number-wise. You don’t usually want a three-page chapter and then a 25-page chapter. Someone recently asked me at an event what advice I’d give to a new writer. This is a list of rookie writer mistakes (in no particular order). We’ve all made at least one. When you schedule an event, always confirm ALL of the details (e.g. where will you be seated, who’s handling the book sales, the date/time, location, etc.). I’ve had one outside event in January, and several in the middle of August. Always bring a box of books with you to every event. The bookseller could make a mistake, or you could sell out! Have a bag with your swag, book stands, pens, tape, etc. with you. Mine has bandages, mints, lotion, and scissors in it, too. At my very first book signing, my one and only pen died. Thank goodness, Mom had a supply with her. If you agree to an event, guest blog, or interview, meet your commitments. People are counting on you. Don’t burn bridges. Be professional. You never know who you’ll sit next to on a panel. ALWAYS get reliable references for services for editing, proofreading, book covers, and book promotions. If it sounds too good to be true, it probably is. Read all of your contracts. Consult legal professionals. You and your work are your brand, and you need to protect them. Treat your writing as a profession. Consult your tax advisor for advice about how to record sales, sales tax, etc. This is a business. Have a separate bank account for your writing. When you get to the point with your manuscript where you feel the book is done, then it’s time to send it to beta readers, your critique group, or an editor. It’s not ready for agents or publication at this point. A lot goes into naming a character, especially for one in a series who will be around for several books. The name has to fit the character. Avoid naming multiple characters with similar names. It makes it hard for readers to keep them separate (e.g. Kris, Chris, Christian, Kristen, Christie). My friend, the late Kathleen Mix, had a trick for naming characters in her books. She made a character list, and only one character per book could have a name with the same letter. She could have an Anastasi, Brooke, and Caitlyn, but not an Alfred and an Annie. When I hear an interesting name, I jot it down and add it to my working ideas list. You can Google the social security baby name lists by year. This helps if you want to know what names were popular in a particular year. When I’m watching sporting events, I look at the rosters for interesting names (first and last). Keep a character list for each book. This helps me from repeating names. I tend to name a lot of minor characters Bob and Joe for some reason. I also record character traits in my chart, so I can keep them consistent book to book. I will often pay homage to pop culture in some of my character names. There are references to Van Halen and Wham! in Secret Lives and Private Eyes. In “Diggin’ up Dirt” in To Fetch A Thief, the nosy neighbors are named in honor of a namesake from the TV show “Bewitched.” My PI, Delanie Fitzgerald gets her last name from my favorite American author, F. Scott Fitzgerald, and her agency is named for Dashiell Hammett’s The Maltese Falcon. What else would you add to my list about naming characters? I’m fortunate that my dad is a retired police captain, and I have other family and friends in law enforcement who are always willing to answer my procedural or odd questions. I can’t tell you how many times, I’ve had questions like, “What does a meth lab smell like” or “what size of a hole would this bullet make.” People are always willing to help and are very generous with their time. I am also thrilled to be a part of Sisters in Crime. Our local chapter has great programming. We bring in experts to answer questions and explain procedures. I now have two awesome bail bondsmen in my contact list (or in case I need them). We’ve also had an arson investigator, medical examiner, FBI agent, ABC officer, Railroad Enforcement Officer, an expert in human trafficking, and a state conservation officer talk to our group. I’ve also found that Twitter is a solid resource for finding experts and people who know things. I’ve put out questions before and received good information quickly. Social media sites are great for research, finding contacts, and networking. I’ve received several referrals that were quite helpful in my research. My Private Investigator, Delanie Fitzgerald, is always getting herself in and out of humorous situations. In book three, she gets a gig to go undercover at a drag show to find out who is stealing from the talent. I’d never been to a drag so, so my writer friend, Rosemary Shomaker, arranged a research trip for brunch. (The bananas foster French toast was wonderful!) We had so much fun, and I ended up with a lot of details to add to my story, and a subject matter expert to answer my questions. I always keep a list of folks who help me with ideas and answer questions for the book’s acknowledgments page. Okay writers, what adventures have you had in the name of research? 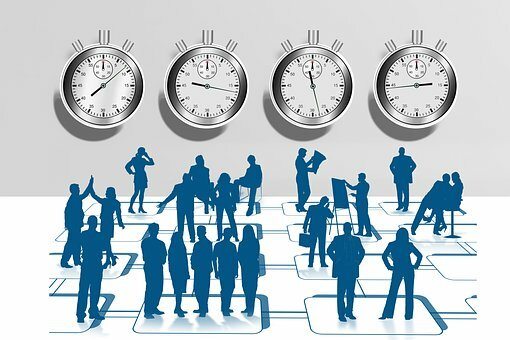 How Productive Are You with Your Writing? With work and life’s distractions, I don’t have a lot of writing time. I admire writers who can create multiple novels a year and stick to a daily writing schedule. I’m a binge writer. I write when I have blocks of time, and I don’t always keep to a set schedule. But I did an experiment this year to see what was possible, and I had one of my most productive years to date. This year, I completed a cozy mystery, and I have a sloppy draft of my third Delanie Fitzgerald novel. I wrote a dog-themed mystery novella that was published in November in To Fetch a Thief. I wrote a short story, “Art Attack” that will be published next May, and I wrote a nonfiction piece that will be published next year too. And before December, I hope to start on another novella for the Mutt Mysteries collection. I cut out a lot of TV time. I edited, proofread, and did rework during times that I normally didn’t write. I would print out chapters and put them in my purse for wait times like in the doctor's office or at the DMV. I started tracking my word count for the week. This helped me stay on track. It also gave me a visual of what I had accomplished. I tried to find some writing/editing/blogging time each day. It didn’t always work, but I made the effort. I was a little more choosy and protective of my writing time. I learned how to say no politely. I used my critique group to keep a monthly deadline. We submit 50 pages for review each month. I didn’t skip months this year. I had something to review each month. Best wishes with your writing projects. What else would you add to my list? I finished my SAFe (Strategic Agile Framework) training and passed certification exam recently. And it’s been a while since I’ve studied and crammed for an exam. I spent a lot of time over the last two weeks reading and studying (and learning hundreds of acronyms). Needless to say, my book marketing and writing projects have been neglected, and I’ve lost some of the momentum I had on my WIP (work in progress - which is also an Agile term). Stuff happens. Life and work will often throw your writing off schedule. The holiday season is fast approaching, and that always affects my productivity. Here are some ideas to get your writing back on track. If you’re an early bird or a night owl, capitalize on that. Start your day earlier or stay up later to build in some extra writing time. Turn off the TV or electronic gadgets and use that time for writing. Use your lunch or meal times to build your word count. Print out chapters and use waiting time to proofread or edit. Don’t beat yourself up if you neglect your writing. Life happens. Get back to it as soon as possible. Set a reasonable schedule or goals for the week and try to stick to it. You’ll be surprised how much your word count will grown when you write every day. Find a writing buddy or someone who’ll tell you if you stray. I have two friends on Facebook who remind their writer friends that they should be writing. Public shaming can be a motivator.